Lavender Cottage in Threshfield just outside Grassington is a cosy, wood beamed cottage sleeping 2/3, with wood burning stove, secure bike storage and carparking immediately outside the property. The cottage is situated overlooking the village green in front with a pub serving delicious food and drink just a two minute walk away. Grassington is one of the best loved villages in the Yorkshire Dales and is very popular for walkers, anglers, cyclists, rock climbers, pot holers, golfers and those just wanting to escape to life in the Yorkshire Dales. 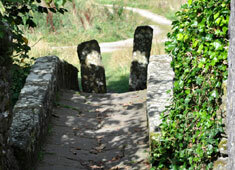 There are numerous things to see and do from Lavender Cottage. Walk from the door for some great walks, including a beautiful walk by the River Wharfe and into Grassington Woods. There is fabulous countryside and stunning places to visit all around you including the ruins at Bolton Abbey, the underground splendours of Stump Cross Caverns, Skipton's Medieval Castle and colourful market and the geological wonders of Malham Cove. 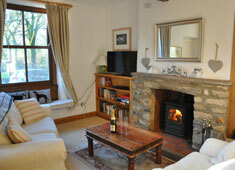 Lavendar Cottage offers a cosy sitting room with wood burning stove - all logs and kindling are supplied. There are two bedrooms, a kingsize double and a single. The well equipped kitchen leads onto a porch, perfect for muddy boots and wet coats. Outside you will find a seating area overlooking the green and two outbuildings, one of which provides a secure bike lock up and the other a utility room complete with washing machine, dryer, sink and an endless supply of sticks and logs! 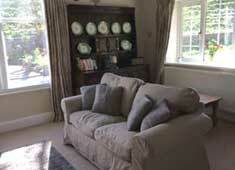 Weeks, long weekend or mid-week breaks available. Dales Cottage is a deceptively large end terrace cottage ideally situated in the heart of the Yorkshire Dales just a minutes' walk from Linton Falls. 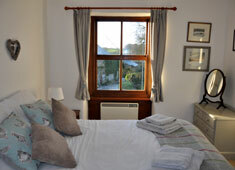 It is a charming cottage which is full of traditional character and will sleep up to 7 people. One well behaved pet welcome. Weeks, long weekend or mid-week breaks available.